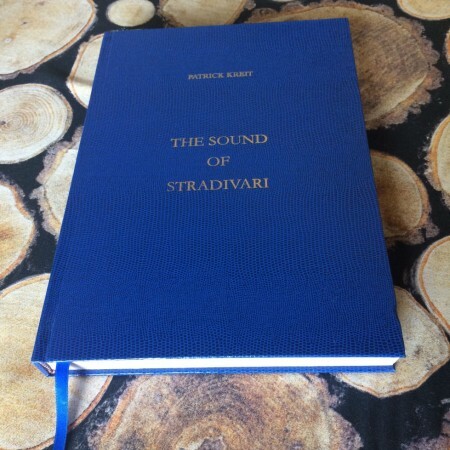 Do you want to learn how to make instruments sound like those of Stradivari and Guarneri? Yes? Ok, this is the best investment you can make! 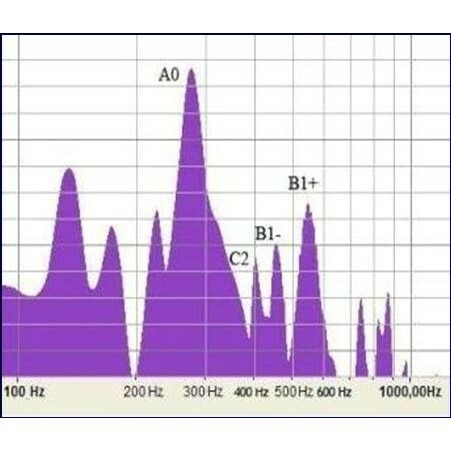 The “The Sound of Stradivari” Final edition book explain how to tune mode frequencies 2 and 5 on free back and top plates, modes A0, A1, C2, B0, B1-, B1+ and the various deltas between these modes. Spreadsheet with mode frequencies B1- and B1+ of 18 Stradivari and 13 Guaneri violins. 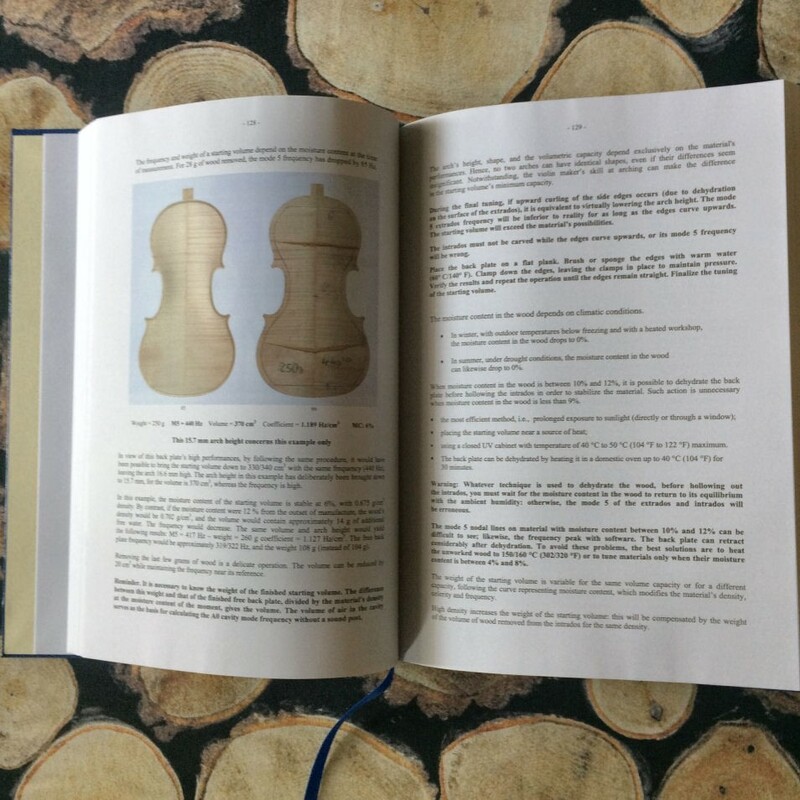 The method of violin plate construction detailed in this book, “The Sound of Stradivari” is the one used by most contemporary violin makers. It consists in entirely finishing the free top and back plates before gluing them onto the rib garland, irrespective of the form used (inside or outside mold). 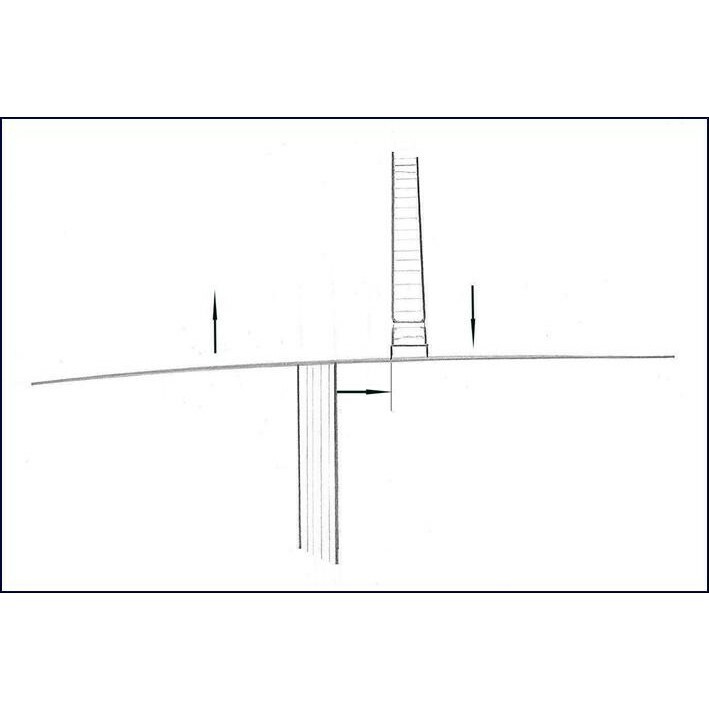 Two examples explain the procedure for tuning free back and top plates, whatever the violin model. 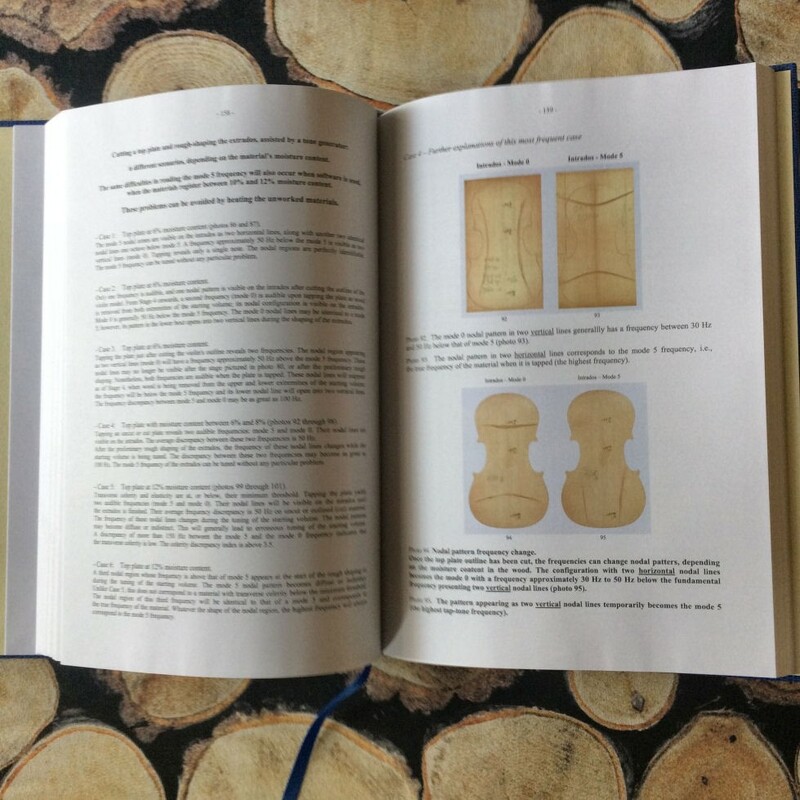 It is conceived for violin makers (no formulas) in accordance with traditional violin making. 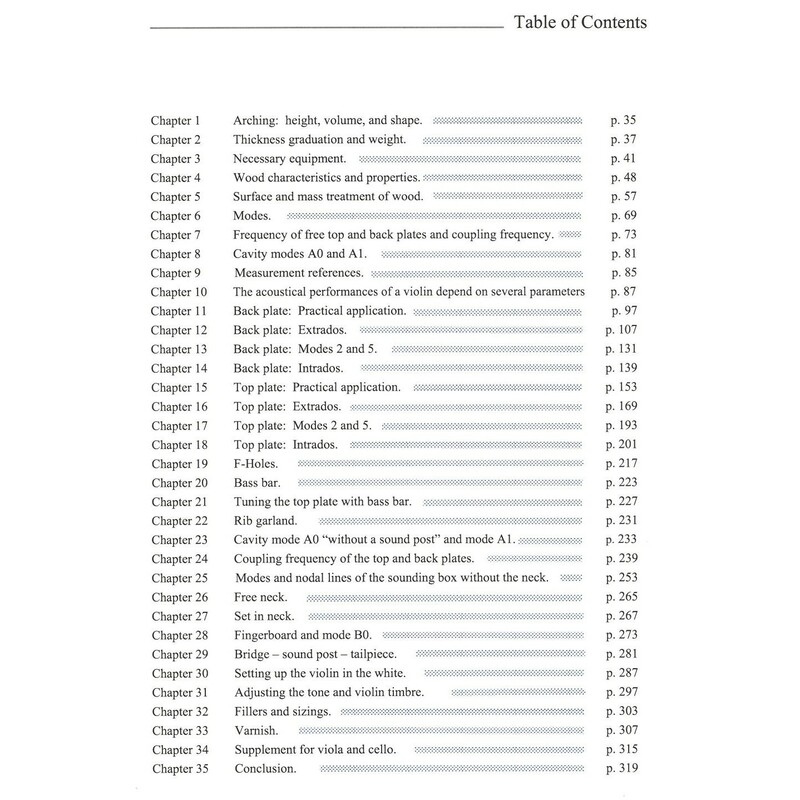 It answers all the essential questions about violin acoustics that a violin maker needs to know. This very simple tuning technique makes it possible to naturally reproduce arching in the "Italian" style and to understand the genius of Stradivari. However, designing the outline of a violin model based on perfect geometry and reproducing one of the finest Stradivari or Guarneri instruments will not suffice to obtain excellent sound. All is vibration; all vibration is a law of physics or acoustics, from the violin to the secret melody of atoms. 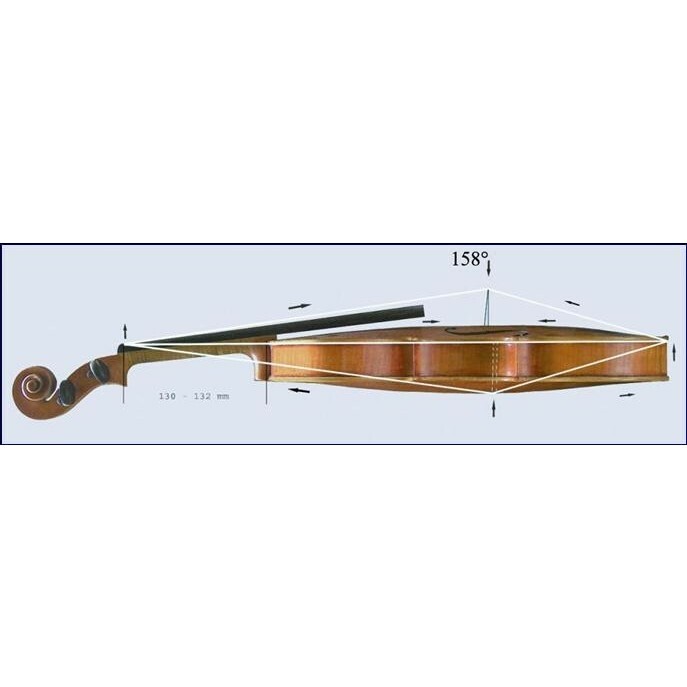 The bow makes the string vibrate, the string makes the violin’s materials vibrate, which in turn sets into motion the air molecules within the body, making it a sound resonator and amplifier. To replicate the sonority of a classic Italian violin, the violin maker must know these same laws that enabled the creation and perfection of such masterpieces. 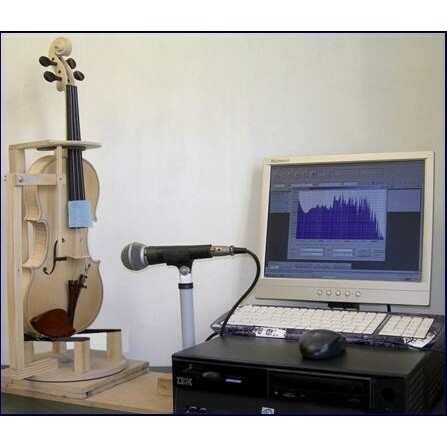 Dedicated to the acoustics of the violin, it is accessible to all: professionals, amateurs or beginners. Do you want to learn how to make instruments with sound like those of Stradivari and Guarneri? Yes? Ok, this is the best investment you can make!